There is a good reason why Flightdeck Consulting is the preferred supplier of coaching and mentoring services for pilots preparing for their Emirates Pilot Interviews. Since 2006 Flightdeck Consulting has been preparing pilots from all corners of the globe and the success of our clients has been outstanding. Our Team of industry experts consists of both current and former international airline pilots and our principal interview consultant Sasha has worked within the aircrew recruitment department of a major international airline as well as having flown over 6000 hours on both the A330 and A340. The Emirates Pilot Interview Package has been specifically designed to completely prepare you for all stages of your interview. Once purchased your preparation begins immediately with online access to the Premium Pilots Interview Package. We will then schedule your One on One interview coaching sessions at a time to suit your region and schedule. Flying for an airline of the prestige of Emirates doesn’t come easy. Competition remains tough and the key to success is preparation. Give yourself the best possible chance of success and start your preparation today. Don’t leave anything to chance. 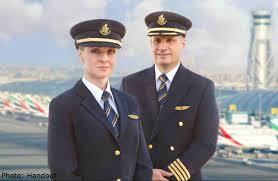 Give us a call or email us today to discuss how we can help you prepare for your Emirates Pilot Interview. How it works is very clever!